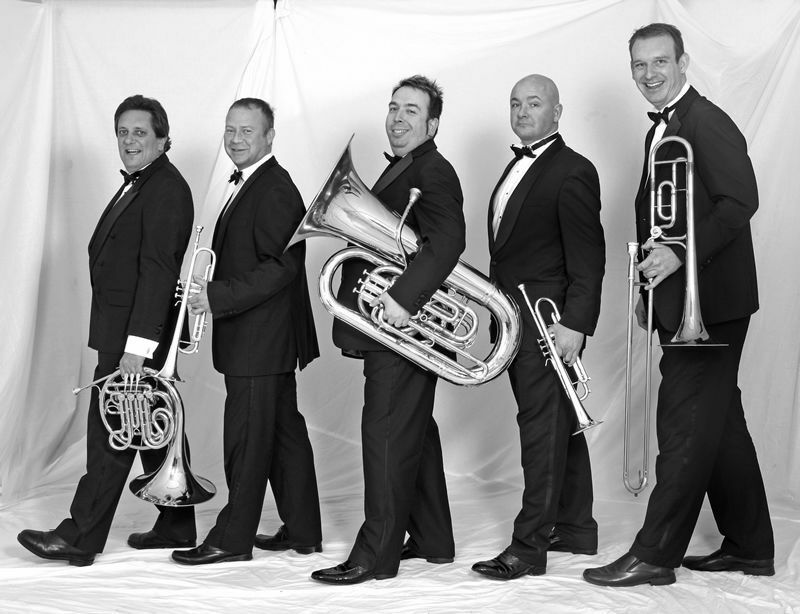 Premier Brass is a superb quintet that caters for all musical styles and tastes. Renaissance, Baroque and Classical pieces, Regimental Military Marches, clever, effective arrangements of a selection of easy-listening popular songs from the charts, old and new – Premier Brass plays it all. 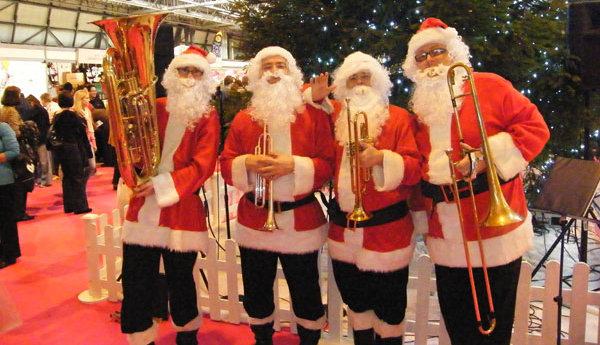 Premier Brass can provide a special fanfare team and a marching band for all occasions. 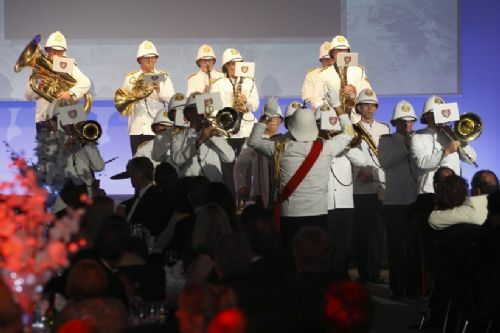 Whether it’s an awards ceremony, a formal banquet or a commercial product launch, these musicians contribute a colourful, spectacular focal point to proceedings, adding a splendid ceremonial touch to any event. 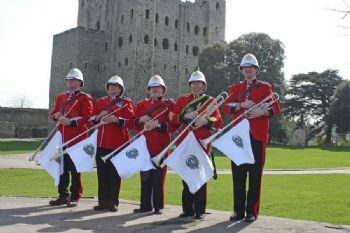 Premier Brass has appeared at many official military occasions throughout the UK, often providing appropriate background music for historically-themed events such as The Battle of Trafalgar Night. 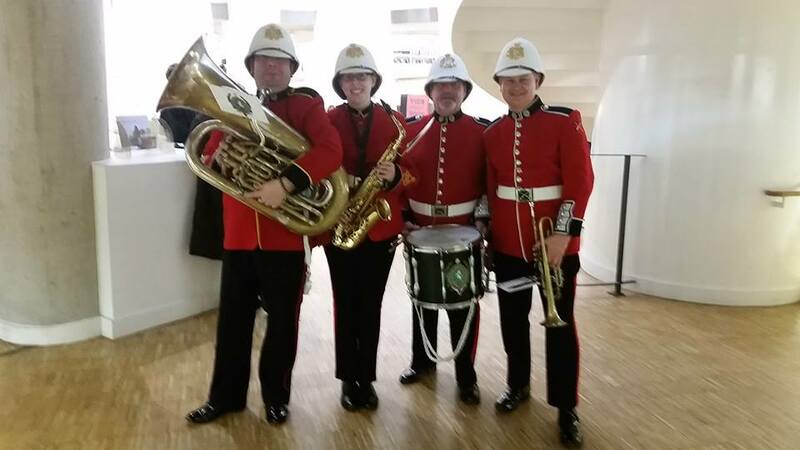 With several ex-forces musicians currently in the band’s regular personnel, Premier Brass can justifiably claim to be particularly knowledgeable, experienced and fully understanding of specific military requirements. Weddings, sumptuous banquets, a corporate awards ceremony or a Mediaeval Street Fayre – these guys take it all in their stride. They can draw on a broad, versatile musical repertoire, as well as an extensive wardrobe of authentic period costumes, to suit each of these varied occasions perfectly. Premier Brass are equally happy to perform either as a static ensemble or as a strolling serenade, both indoors and outside. Premier Brass showcases colourful and spectacular fanfares, plus top-quality musical entertainment that will grace and enhance any occasion. No need for electrical amplification – perfect for outside! I just wanted to say a huge thanks for arranging the band yesterday. They were amazing and everyone loved them. They were a lovely bunch and very accommodating and the Christmas music really got everyone into the festive spirit. The day was a massive success. We raised nearly £2000 for Cancer Research UK in one day which is great! 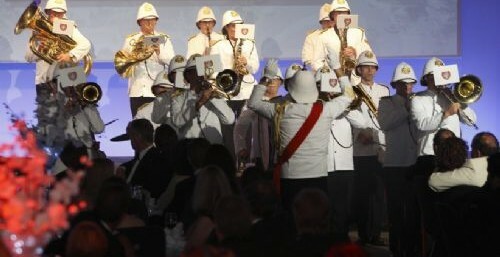 The event did go really well – thank you very much Premier Brass! The band were great, performing rousing military marches. I really appreciate them accommodating my booking despite the short notice. The delegates also commented on the quality of the band and I would definitely re-book them in the future. The costumed regimental marching band performance by Premier Brass at the 02 Arena 2017 Birthday Celebrations was amazing! Geoff Moore, the bandleader was flexible, helpful and able to produce the music for our particular and very specific song choices at the drop of a hat! It was an impeccable performance. Many thanks to Geoff and the guys for their contribution to the Beano World Book Day Prank video, filmed at Clapham Library. The Premier Brass musicians could not have been more helpful and professional. A stunning performance by Premier Brass Marching Band dressed in full military regalia got the Ideal Home Show off the ground with panache and style. 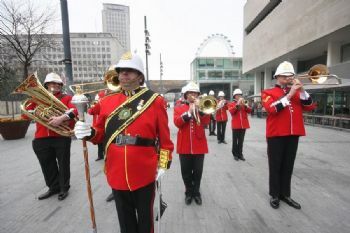 LONDON FASHION Week got off to a rousing start yesterday with a trumpet fanfare from the Premier Brass regimental brass band opening Antoni & Alison’s show at Somerset House.